Google Reader will shutdown within days. So i’ve upgraded my Tiny Tiny RRS installation to Version 1.8. Its awesome! 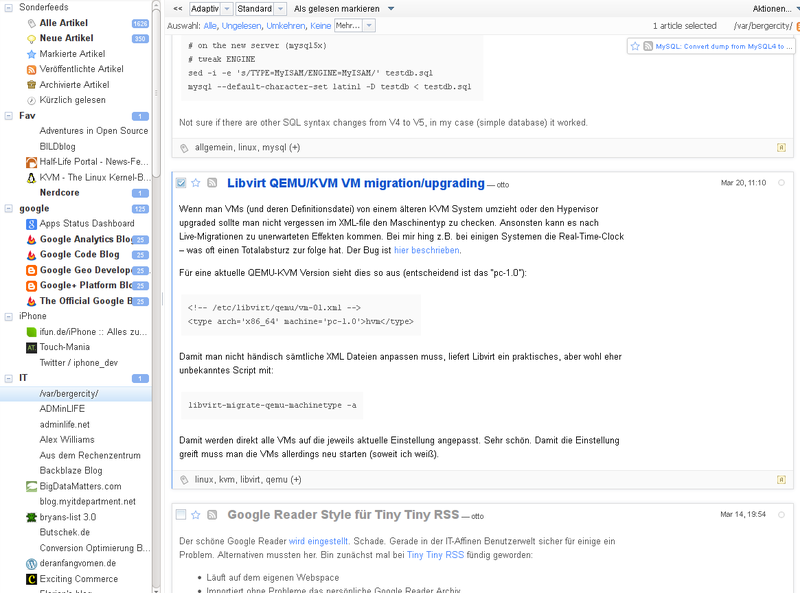 It now supports Themes, so i’ve upgraded my custom Google Reader Style for it: Download here (right click->safe as). Just put that file into the /themes directory and choose that theme in the TTRSS settings. 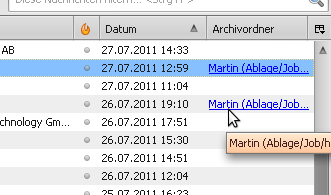 Ersatz für die von Nagios mitgelieferte Notification-Mail. Eigentlich bin ich kein Fan von HTML-Mails, aber CSS-Formatierungen machen eine Notification-Mail schon übersichtlicher. Es wird aber auch eine Text-Variante für Handhelds etc. mitgesendet. UPDATE: Now available here at my github profile!